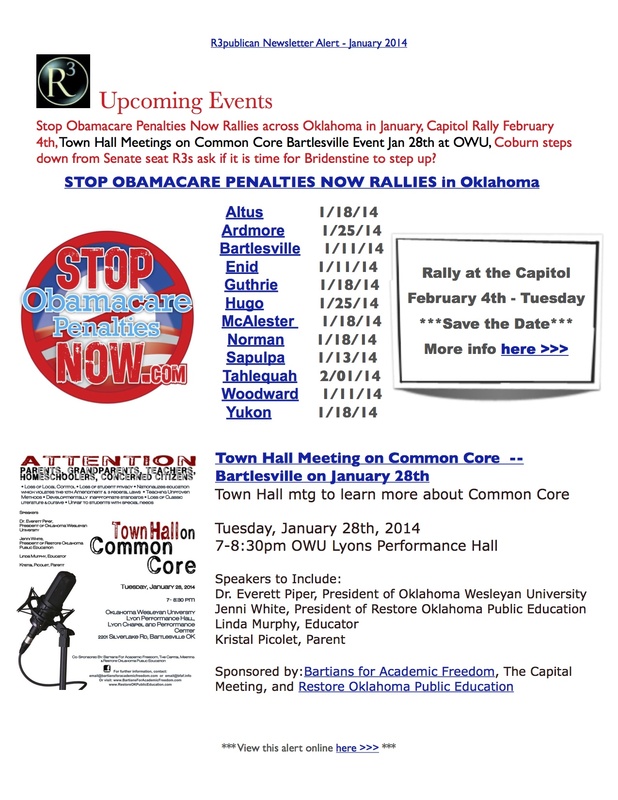 R3 Alert – January 22, 2014 Stop Obamacare Penalties Now Rallies across Oklahoma in January, Capitol Rally February 4th, Town Hall Meetings on Common Core Bartlesville Event Jan 28th at OWU, Coburn steps down from Senate seat R3s ask if it is time for Bridenstine to step up? 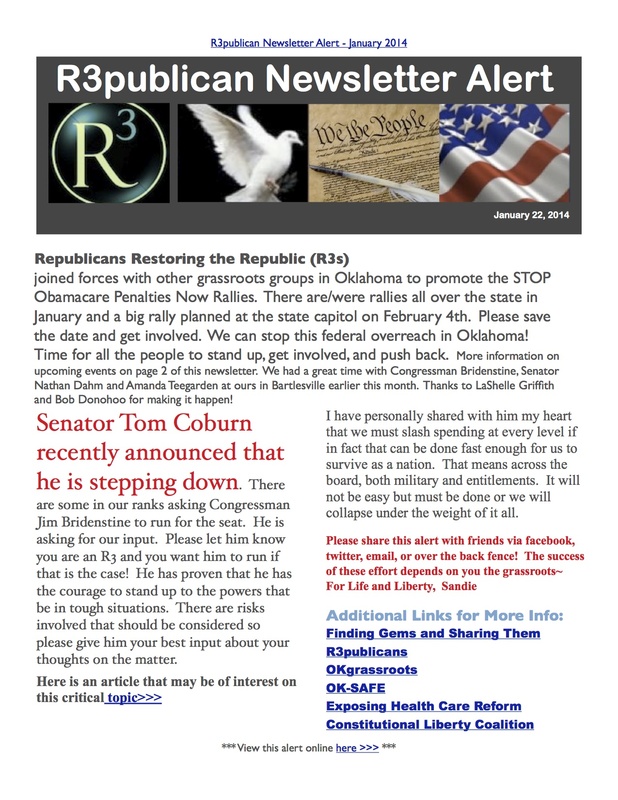 These are snapshots of our newsletter above — it must be viewed online or downloaded as a pdf in order for links to be hot. You may view it on Scribd embedded below or visit the link below that to go to Scribd if the embed is a problem for you and your system.